Can I just say that I love skyping to classes in Canada? Well, whether I can or cannot, I will. This week I was in Danielle Maley’s grade 1 and grade 2 class. 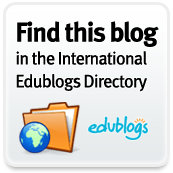 I learned that in Canada first and second grade do not exist as far as terminology goes and that it is referred to as grade 1 and grade 2. I just love this age. These kids have so much enthusiasm and zest for life. You can see how engaged they are in the pictures that Mrs. Maley took. The first thing that we talked about was how far away from each other we are. We found out that we are 1,000 miles away. Then we got to the important stuff like what is your favorite book. One little girl happened to say that her favorite books are Franklin books. Since I just happened to have a Franklin book I dedicated my reading of Franklin’s Halloween to Georgia. The kids did not mind at all that it was a little past Halloween. They were just mesmerized by the entire experience because they had never skyped with someone in one of their classrooms before. I had the wonderful opportunity to be their first. After skyping with Canada I quickly came back to Wisconsin to work with an adult that has struggled with reading her whole life. She happens to live in Wisconsin and is only 30 minutes away from me, but working via skype makes it so much easier. Neither of us has to travel for an hour and we get to get more done than if we were in person. This new student has mentioned that Skype has completely changed her life. The fact that she can now get help with reading and not have to leave the comfort of her home just astounds her. She loves the convenience and the new tools that she learns with each session. She is continuing to get better and better every day and she brightens my day with all of her insights. I love that I can spread positivity around the world via Skype and in my day to day life. It is a blessing, a calling, and for me a way of life. I had the most wonderful surprise awaiting me when I woke up this morning. A group of students not only read one of their favorite books to me, but they made a video of it for tons and tons of other people to enjoy. Ms. Soltau-Heller had her students read Jillian Jigs by Phoebe Gilman. I love when kids read books, but I love it more when I am introduced to a new wonderful author. I had never heard of this book or the author, so it was even more fun than you could ever imagine. This teacher had mentioned that she had never done anything like this before and you absolutely can’t tell. It is amazing. She had the whole class choral read the repetitive phrase in the book and individual students read the pages. All of the kids had an amazing part in this creation and she did a wonderful job. I have yet to go into a classroom where there has not been amazing teaching practices going on. I am so honored to still be in classrooms all over the world via my computer and Skype. What an inspiring 1st grade class. This class is filled with amazing readers. Who knows maybe some of them will become famous actors. We shall see. Only time will tell. Anyway check out their wonderful video reading Jillian Jigs. I have traveled to two different schools in Canada through Skype over the past 2 days. What a fantastic experience. Both of the classrooms had 1st grade and 2nd grade students in them and they were both filled with wonderful learners. 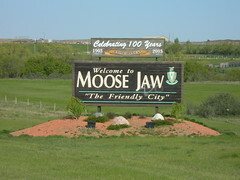 I had the wonderful opportunity to talk about friendship in Moose Jaw today and the funniest thing is that when I started to look for pictures for this blog I found one that said, “Welcome to Moose Jaw the Friendly City. I have a feeling that these kids know a lot about friendship because before we began they told me that a good friend is someone who never lets you down and goes to your house and plays with you. From the book The Gordon Star we learned that friendship is being kind to others, saying nice things to each other, and helping each other out. It may even include being funny. (I know I don’t like boring people, so I like the characteristic of being funny). This concept of friendship is so important. We don’t choose our friends based off of what people look like and the things that they have, but the wonderful inner qualities that each of them holds. That was evident by the students responses today in Mr. Silverside’s class. You can take a peak at this wonderful experience.